David is passionate about inspiring and supporting others to acheive impact and realize their dreams. He has served as a consultant for a diverse array of projects, events, and campaigns. Specialized in consulting for startup entrepreneurship & fundraising, project management, event production & marketing, travel hacking (flight hacking), and cryptocurrency and blockchain onboarding and education. Limited availability upon request. Project management: Support in setting up collaborative tools and strategies to run your organization. Production timelines, task management, delegation, using collaborative software tools, and streamlined management. Project initiation and entity formation: Setting up a new entity? Support on choosing the right entity, setting up the right incentives, recruiting a founding team, and everything that goes into getting an organization off the ground from day one. 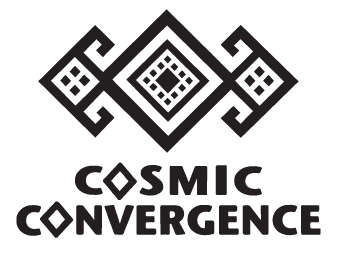 Fundraising and crowdfunding - Raised equity and cryptocurrency funding for NuMundo, debt funding for Cosmic Convergence Festival, managed two successful donation-based crowdfunding campaigns and consulted for a number of other campaigns. Included are ready-made templates, strategies, technologies, hacks and formulas for success. Travel & Flight Hacking - Flying for free since 2014, coordinates the flight logistics for NuMundo’s international team retreats often without purchasing a single flight. Inquire for rates, or set up an introductory call below.